That looks delicious. 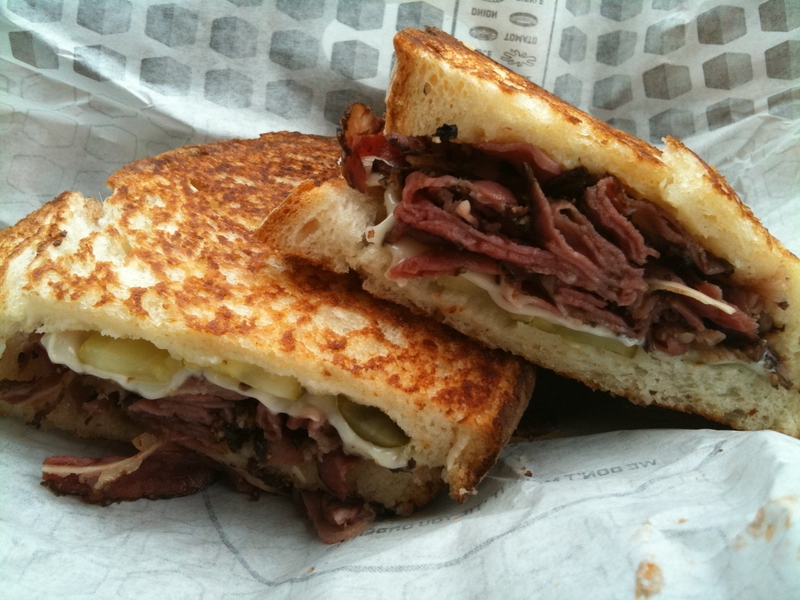 I love pastrami. I agree, it does look a little thick in the meat and thin in the cheese. That makes it more of a meat sandwich than a cheese sandwich.